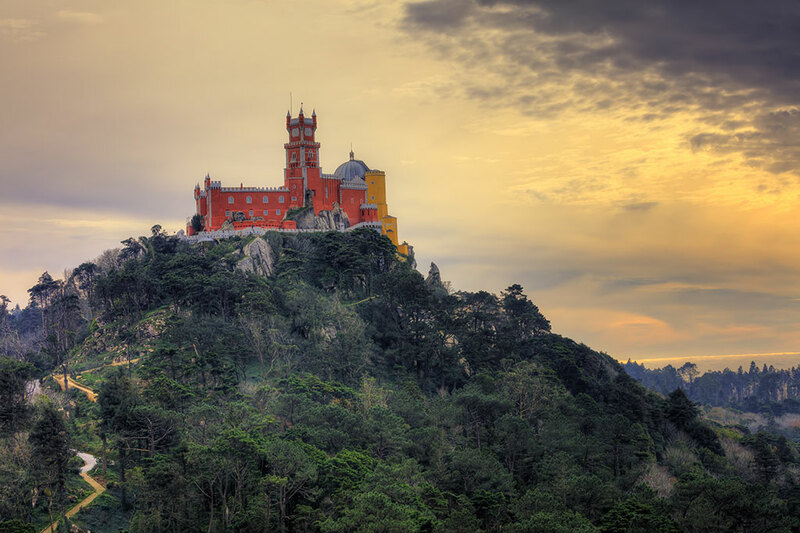 The Pena Castle stands on the top of a hill in the Sintra Mountains, near Lisbon. I took this photo from the Castle of the Moors which is the best place to enjoy the amazing views. Later we decided to visit the Pena Castle and the gardens, of course there is a lots of walking and climbing involved and I was already exhausted to be honest, but this was my second time in Sintra so I wanted to take more pictures. Back in the hotel I felt terrible, I caught a cold that kept me in bed for the next two days. I guess I wasn't prepared for the cold weather plus the strenuous climbing. 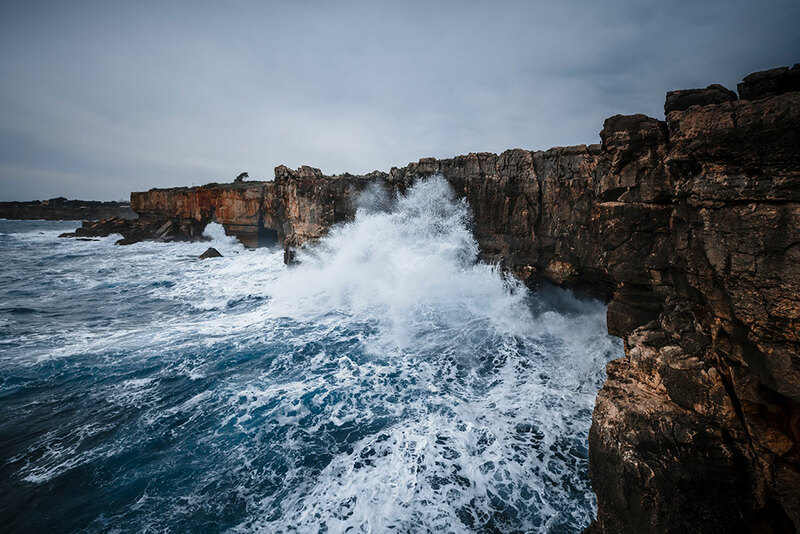 Boca do Inferno (Portuguese for Hell's Mouth) is a chasm located in the seaside cliffs close to the Portuguese city of Cascais, in the District of Lisbon. The seawater has access to the deep bottom of the cliff and vigorously strikes its rocky walls, making it a popular tourist attraction. Hopefully the day I went there the weather was overcast and very windy and the waves were breaking on top of the cliffs. Certainly the perfect weather to add drama and depth to my photo. 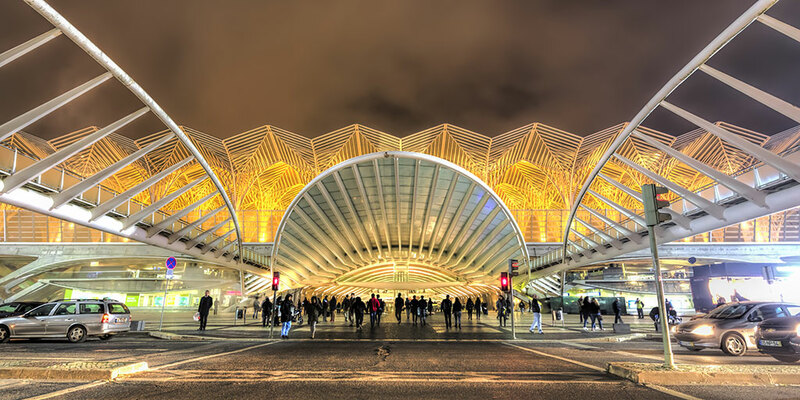 One of the most stunning modern sights in Lisbon is Oriente Station. It was built by master architect Santiago Calatrava with a roof of glass and steel made to look like a row of trees. The station was constructed as part of the Expo 98 building program and is styled in an ultra modern reflection of gothic architecture, meaning that most visitors are taken aback when they first view the station. It encompasses a Lisbon Metro station, a high-speed, commuter and regional train hub, a local, national and international bus station, a shopping centre and a police station. I've had the opportunity to see Calatrava's architecture work in several parts of the world, the Turning Torso Building in Malmo, Women's Bridge in Buenos Aires, Samuel Beckett Bridge in Dublin and the Reiman Bridge in Wisconsin. Very impressive indeed! When you're visiting the Moorish Castle in the highest hill in Sintra you can enjoy the amazing landscapes surrounding the town. 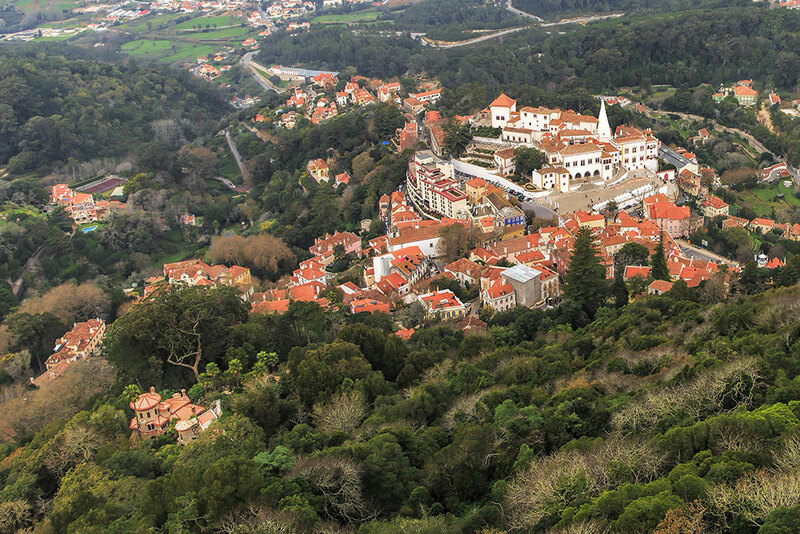 From up there you can see the Sintra National Palace which is located right in the center of the town. The town is small but it is a nice place to have lunch or just walk the narrow streets with the little souvenir stores. 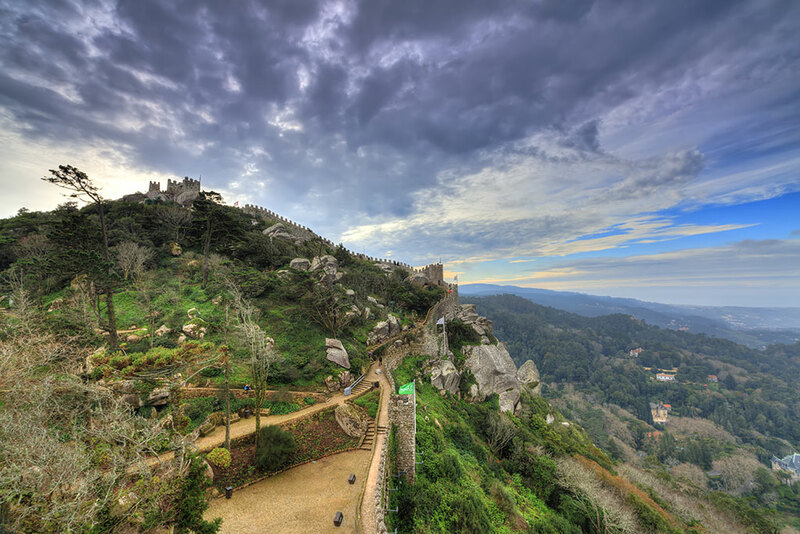 The Moorish Castle also known as Castelo dos Mouros (portuguese) is medieval castle in the Sintra Mountains near Lisbon. Sintra is a beautiful town with a lot of things to see so we decided to visit it twice during our stay in Lisbon. To visit the ruins of the Moorish Castle we had a long and strenous walk from the parking lot to the top of hill, from there you can enjoy the great views over Sintra and the surrounding areas. During the coldest season of the year walking the castle walls was pretty tough, enough to catch a cold that kept me in bed for the next two days. Sintra is definitely a beautful town with so much history and so many places to visit that you will need several days to see them all.